Please submit your full and short papers if you would like to be part of the program. 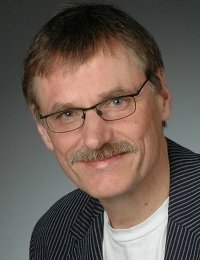 Bio: Marc Baaden is a computational chemist who works on modeling biological systems and processes at the molecular and atomic level. Work includes both application of existing packages like Amber, Gromacs, Yasara and NAMD but also development of novel software and exploration of innovative methods (like for example virtual reality and haptics). A broad range of methods is used from simple minimization via coarse grained modeling up to molecular dynamics and docking approaches. In addition, he develops molecular visualization applications such as HyperBalls and UnityMol. He is actively collaborating with experimental groups, linking and validating computational observations with data from crystallography, NMR spectroscopy and electrophysiology. Marc is Directeur de Recherche de 1ère classe and Director of the CNRS UPR 9080 laboratory, Paris. He is member of a number of national and internationally renowned committees and got a number of fellowships, such as the prestigious EU Marie Curie fellowship. 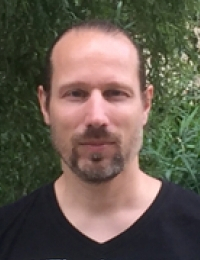 Bio: Hans-Christian Hege is head of the Visual Data Analysis Department at Zuse Institute Berlin (ZIB). After studying physics and mathematics, he performed research in computational physics and quantum field theory at Freie Universität Berlin (1984-1989). Then, he joined ZIB, initially as a scientific consultant for high-performance computing, and then as head of the Department Scientific Visualization (now: Visual Data Analysis), which he started in 1991. His group performs research in visual data analysis and develops visualization software such as Amira/Avizo. He is also the co-founder of Mental Images (1986) – now NVIDIA Advanced Rendering Center –, Indeed-Visual Concepts (1999) – now Visage Imaging –, and Lenné3D (2005). He has taught as guest professor at Universitat Pompeu Fabra (Barcelona), and as honorary professor at the German Film School (University for Digital Media Production)/Film School Babelsberg. His research interests include visual computing and applications in life sciences, natural sciences and digital humanities. He is a member of ACM, IEEE, Eurographics (since 2016 elected fellow), GI, DPG and CURAC.